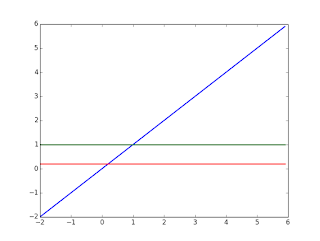 The logistic classifier is similar to equation of the plane. W is weight vector, X is input vector and y is output vector. b is bias that to adjust boundary base. Anyway, this form is context of logistic regression, called logists. y is result value of vector calculation that is score, that is not probability. 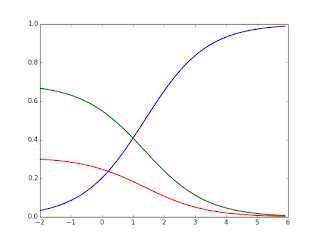 So, to change a probability, use softmax function. So, we can choose what probability is close to 1. 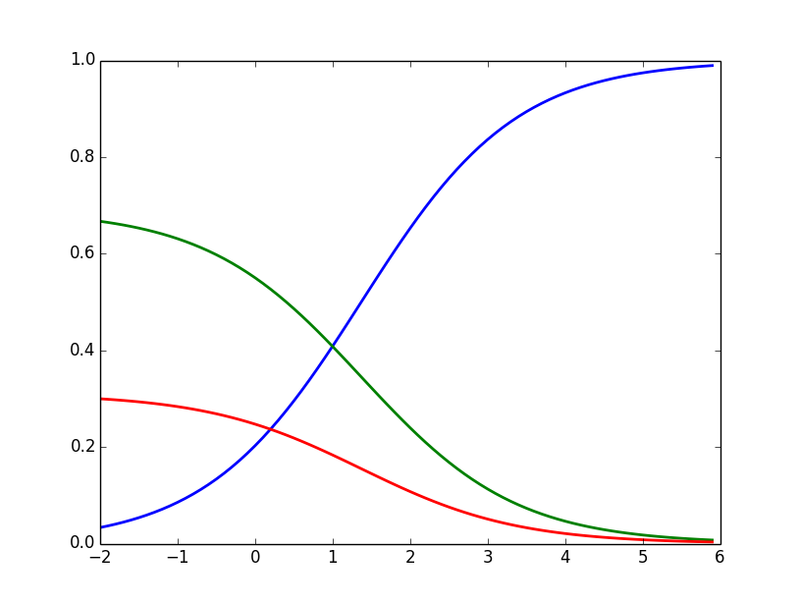 The second graph is softmax output value. 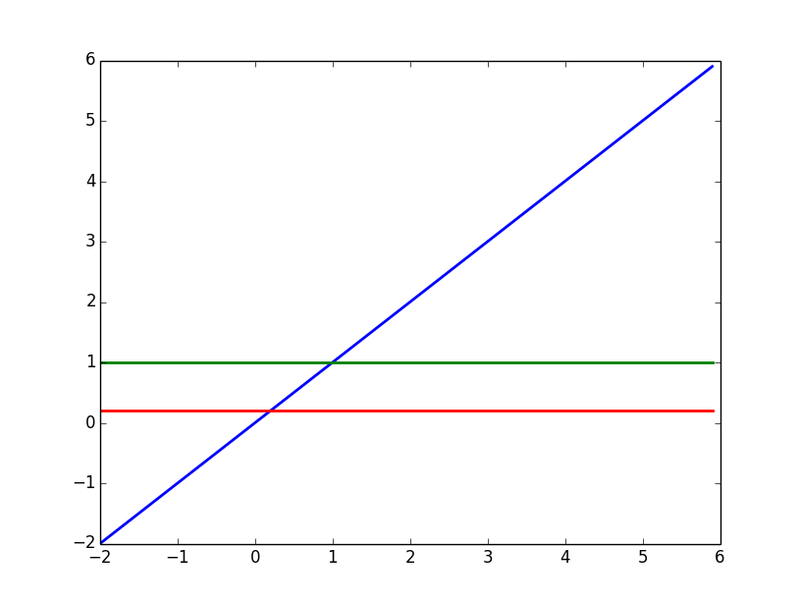 The value of the blue line is grows, lines of green and red is almost close to zero. What happen if scores are multiplied or divided by 10? If divided, the smaller the difference. We can take advantage of these properties.